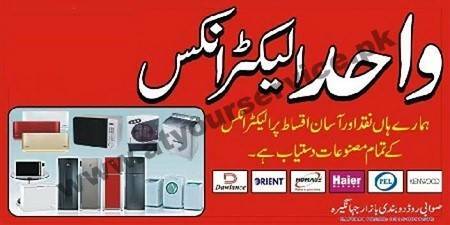 Wahid Electronics is located in Dobandi Bazar, Swabi Road, Jahangira. It deals in all kind of home appliances. All products are available on cash and on easy installments.